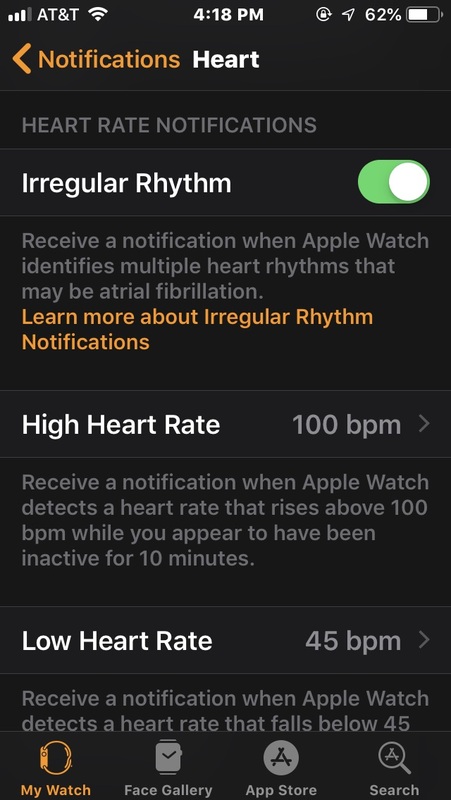 With the new Apple Watch that’s out now, people have suggested my husband (who had a heart attack at 36) should get it since it could detect a heart attack. But I keep remembering what you said – that these devices can’t detect heart attacks and that Afib isn’t related to a heart attack most of the time – is that still the case? I don’t really know how to explain to people that it can’t do this, since absolutely everyone believes it does. The answer is a resounding and unequivocal NO! If we are using the term heart attack to mean what doctors call a myocardial infarction (MI) there should be no expectation that any wearable or consumer ECG product can reliably diagnose a heart attack. 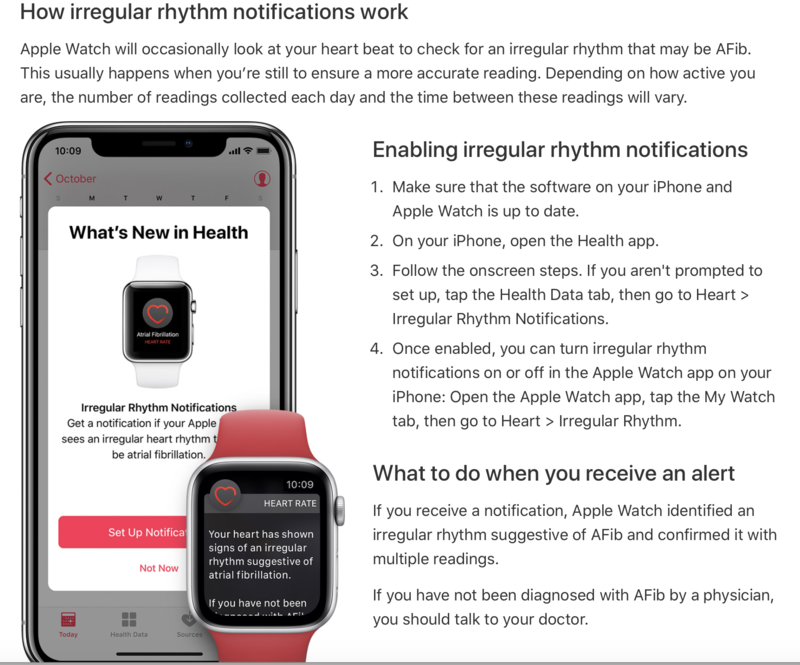 The Apple Watch even in its latest incarnation and with the ECG feature and with rhythm monitoring activated is incapable of detecting a myocardial infarction. How did such this idea take root in the consciousness of so many Americans? In reality, the man received an alarm that his resting heart rate was high at night. Apparently he also was experiencing chest pain and went to an ER where a cardiac enzyme was elevated. Subsequently he underwent testing that revealed advanced coronary artery disease and he had a bypass operation. Even if we assume all the details of this story are accurate it is absolutely not a case of Apple Watch diagnosing an MI. A high resting heart rate is not neccessarily an indicator of an MI and most MIs are not characterized by high heart rates. We have had the technology with wearables to monitor resting heart rate for some time and no one has ever suggested this can be used to detect MI. The rate of false alarms is so high and the rate of failure to diagnose MI so low that this is a useless measure and should not provide any patient reassurance. The writer of this story and the editors at 9-5 Mac should be ashamed of this misinformation. 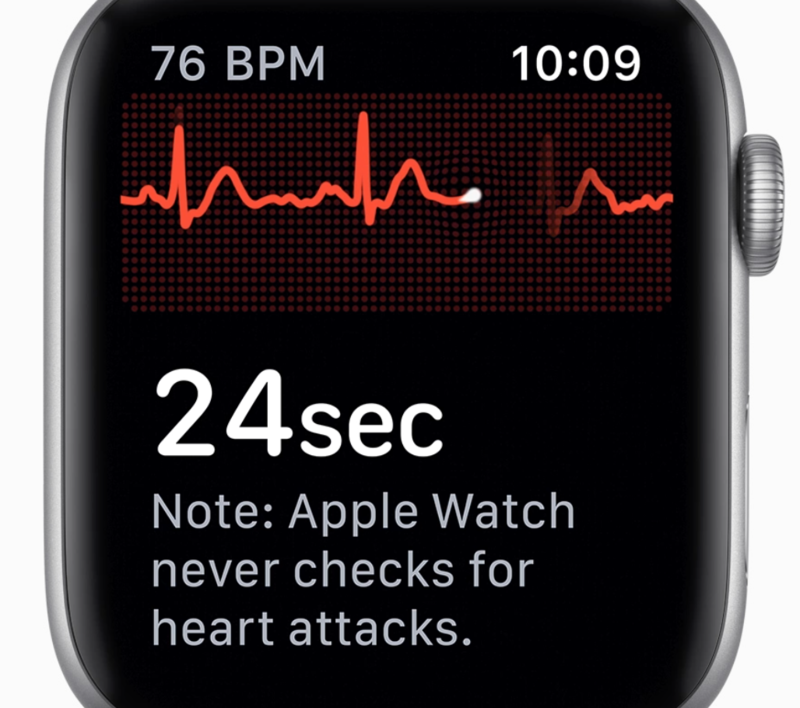 In clear cut cases the Apple Watch could make the difference between life and death,” says Roger Kay, president of Endpoint Technologies Associates. Because you wear the Apple Watch at all times, it can detect an early sign of a stroke or a heart attack, and that early indication is critical, he says. Fox News and Healthline should modify their published articles to correct the misinformation they have previously provided. And it is still true that although both Apple Watch and Kardia can diagnose atrial fibrillation the vast majority of the time acute heart attacks are not associated with atrial fibrillation. 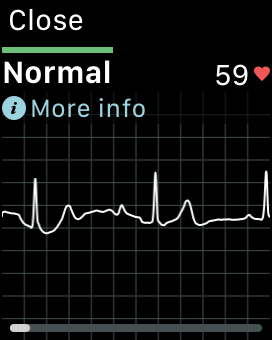 Readers, please spread the word far and wide to friends and family-Apple Watch cannot detect heart attacks! 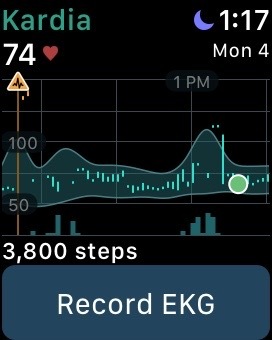 The skeptical cardiologist has been evaluating the Kardia Band from AliveCor which allows one to record single lead medical grade ECGS on your Apple Watch. What follows is my initial experience with setting up the device and using it to make recordings. 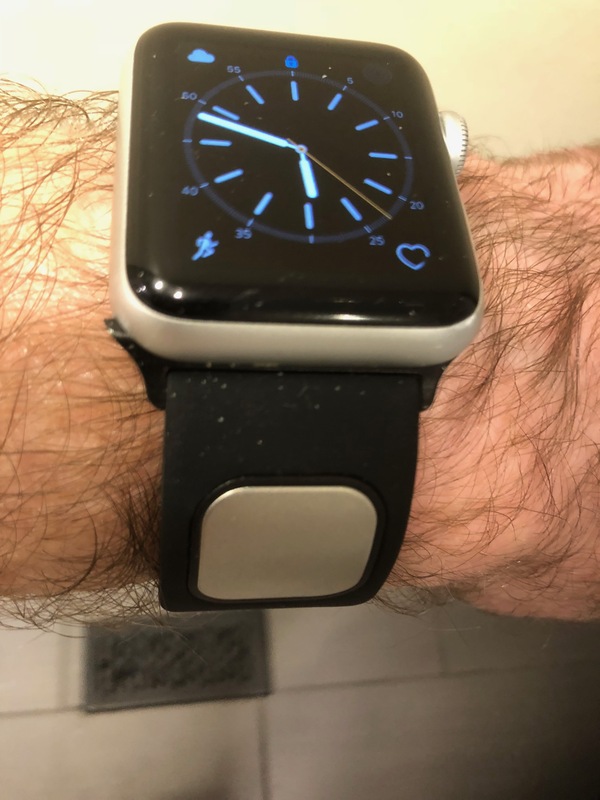 After ordering my Kardia Band for Apple Watch on 11/30 from AliveCor the device appeared on my door step 2 days later on a Saturday giving me most of a Sunday to evaluate it. The larger one had had a small squarish silver metallic sensor and the smaller one had a space to insert a sensor. It turns out my wrist required the smaller band and it was very easy to pop out the sensor and pop it into the smaller band. 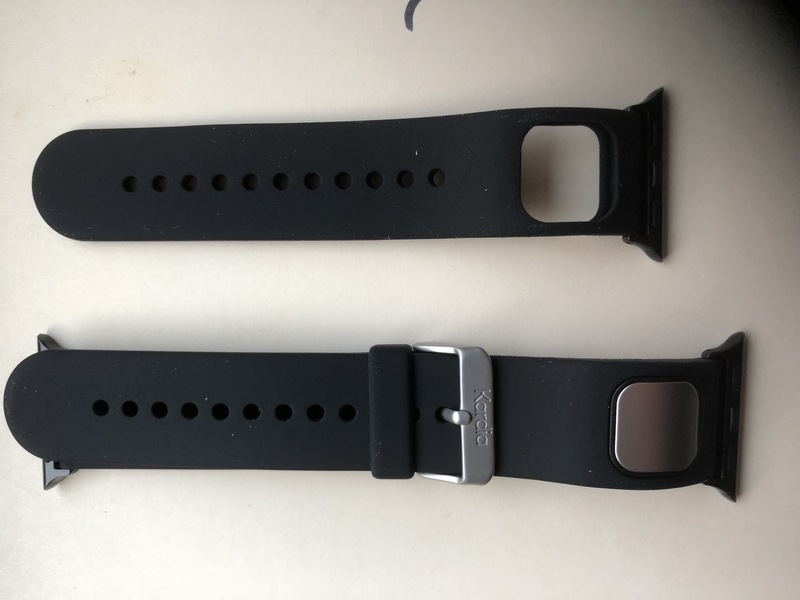 After replacing my current band with the Kardia band (requires pushing the button just below the band and sliding the old band out then sliding the new one in) I was ready to go. The Eternal fiancée did not complain about the appearance of the band so I’m taking that to mean it passes the sufficiently stylish test. She did inquire as to different colors but it appears AliveCor only has one style and one color to choose from right now. I have had problems with rashes developing with Apple’s rubbery band and switched to a different one but thus far the Kardia band is not causing wrist irritation. 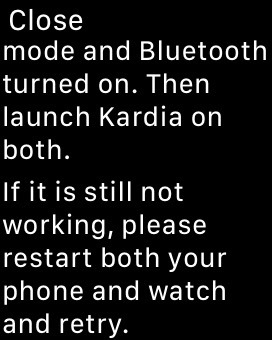 I didn’t encounter any directions in the box or online so I clicked on the Kardia app on the watch and the following distressing message appeared. 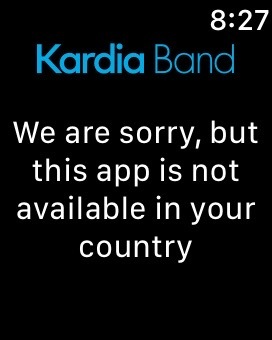 Prior to 11/30 Kardia Band only worked in certain countries in Europe so I suspected my AliveCor app needed to be updated. I redownloaded the Kardia app from the Apple App Store , deleted it off my Watch and reinstalled it. However, I was a little puzzled as I was not aware that setting up Smart Rhythm was a requirement to utilize the ECG recording aspect of Kardia Band. Since I have been granted a grandfathered Premium membership by AliveCor I knew that I would have access to Smart Rhythm and went through the process of entering my name and email into the Kardia app to get this started. Bluetooth was clearly on and several attempts to restart both the watch and the iPhone app did not advance the situation. 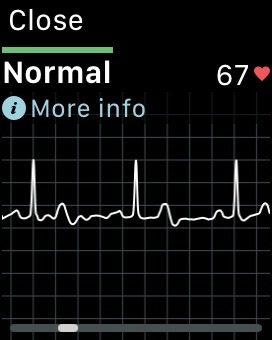 I sent out pleas for assistance to AliveCor. Eggs Benedict Raviolo, Mortadella, Bread Ricotta, Egg Yolk, Brown Butter Hollandaise, Potatoes 15. Later on that day I returned to my Kardia Band iPhone and deinstalled, reinstalled , reloaded and restarted everything. At this point it worked and I was able to obtain my first recording by pushing the record ECG button and holding my thumb on the sensor for 30 seconds. I’ve made lots of recordings since then and they are good quality and have accurately recognized that I am in normal sinus rhythm. The Smart Rhythm component has also been working. Here is a screen shot of today’s graph. You’l notice that the Smart Rhythm AI gave me a warning sometime in the morning (which I missed) as it felt my rhythm was abnormal. I missed making the recording but am certain that I was not in afib. Comparison of the Kardia Band recording (on the right) versus the separate Kardia device recording (on left) shows that they are very similar in terms of the voltage or height of the p waves, QRS complexes and T waves. I felt a palpitation earlier and was able to quickly activate the Kardia Watch app and make a recording which revealed a PVC. In summary, after some difficulty getting the app to work I am very pleased with the ease of recording, the quality of the recording and the overall performance of Kardia Band. The difficulties I encountered might reflect an early adoption issue which may already be resolved. Please give me feedback on how the device set up worked for you. I’ll be testing this out on patients with atrial fibrillation and report on how it works in various situations in future posts. After more experience with the Smart Rhythm monitoring system which I think could be a fantastic breakthrough in personal health monitoring I’ll give a detailed analysis of that feature. 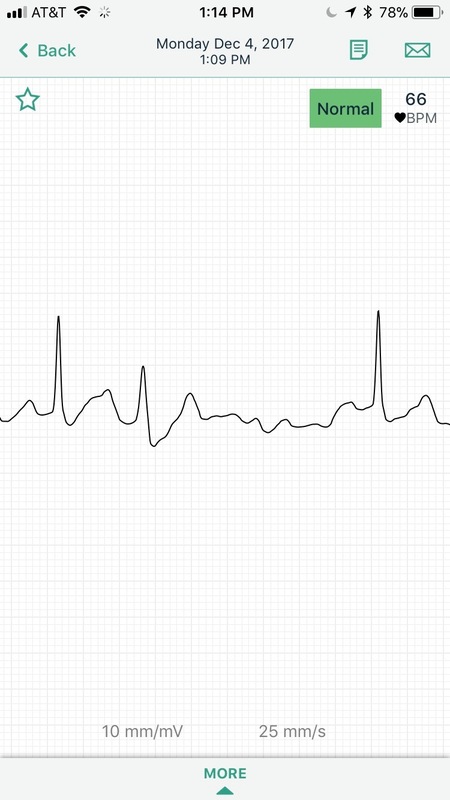 AliveCor has finally gotten approval from the FDA to release its Kardia Band in the United States. The skeptical cardiologist is quite excited to get his hands (or wrist) on one and just gave AliveCor $199 to get it. Hopefully, the Kardia Band will work as well as the earlier device in accurately detecting atrial fibrillation. According to this brief video to make a recording you tap the watch screen then put your thumb on the sensor on the band. The app can monitor your heart rate constantly and alerts you to make a recording if it thinks you have an abnormal rhythm. The Kardia Band will sell for $199. 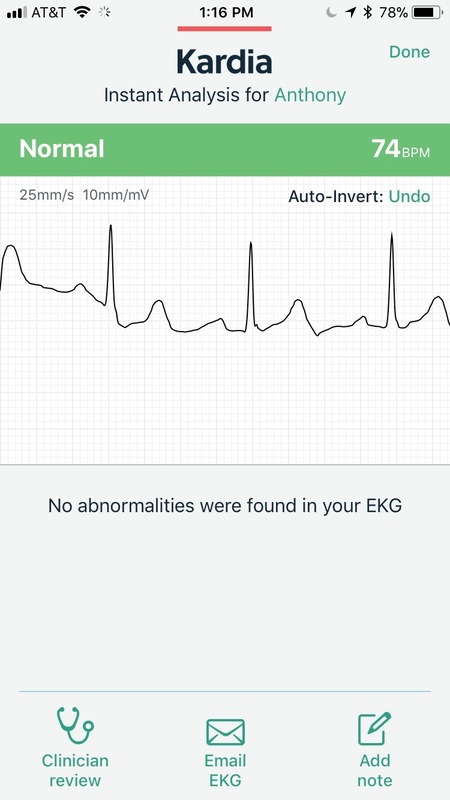 This includes the ability to record unlimited ECGs and to email the readings to anyone. The SmartRhythm program will be part of the company’s KardiaGuard membership, which costs $99 a year. 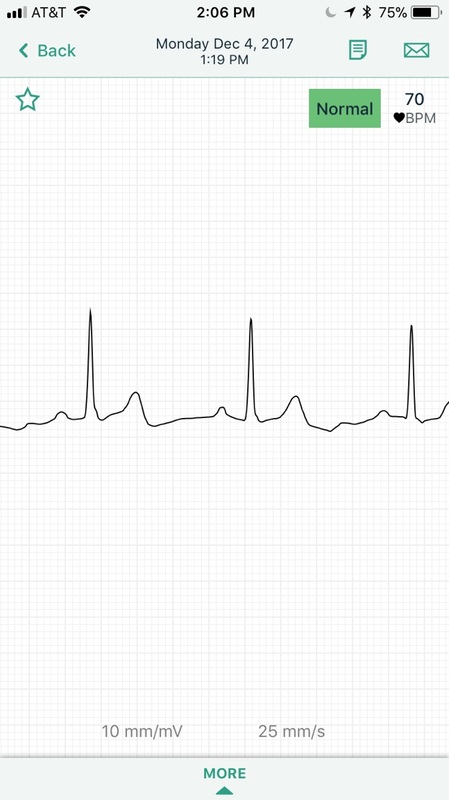 KardiaGuard stores ECG recordings in the cloud and provides monthly summary reports on ECGs and other readings taken. AliveCor tells me my Kardia Band will be shipped in 1-2 days and I hope to be able to give my evaluation of it before Christmas. Please note that I paid for the device myself in order to avoid any bias that could be introduced by receiving largesse from AliveCor. N.B. Larry Husten’s article includes some perspective and warnings from two cardiologist and can be read here. 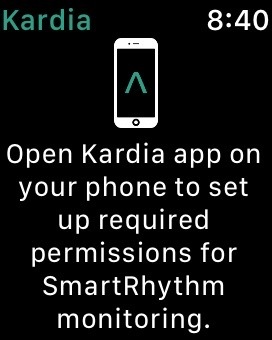 Another article on the Kardia Band release suggests that the Smart Rhythm program at $99/ year is a requirement. Perhaps, AliveCor’s David Albert can weigh in on whether the annual subscription is a requirement for making recordings or just allows the continuous monitoring aspect. The skeptical cardiologist stopped wearing his initial wearable piece of technology (a Garmin device that constantly prompted him to move, described here), within 6 months of purchasing it; it just wasn’t worth the effort of charging and putting on the the wrist. I am not alone in finding FitBit type devices not worth wearing after awhile. ConscienHealth points out that sales and stock price of FitBit are down significantly. Part of this is competition, part saturation of the market, but part must be due to individuals going through a process similar to mine. The great promise that wearable fitness/sleep/activity tracking devices would make us healthier has not been fulfilled. A recent study showed that among obese young adults, the addition of a wearable technology device to a standard behavioral intervention resulted in less weight loss over 24 months. However, knowing I was a fan of all things Apple, the eternal fiancee bought me a Series 1 Apple Watch, which I have come to love. This love has little to do with how the device tracks my steps or my sleep or my pulse or my movement. having it near me or even knowing where my phone is. Since I’m constantly misplacing the damn thing, this is a surprisingly helpful feature. There is also the really cool aspect of walking around and having a telephone conversation using my watch. During a busy day of seeing patients in the office I typically will receive multiple calls from the ER or other doctors I have to talk to immediately. 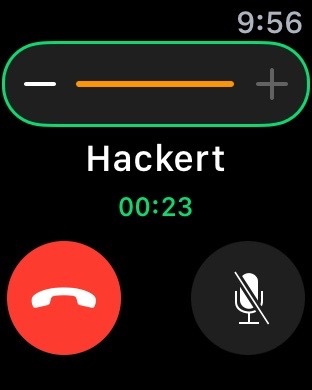 Now, I can rapidly screen my calls with a tilt of my wrist and excuse myself to take the call. If I’ve been trying to get ahold of Dr. X to discuss a mutual patient, and he calls while I’m doing a transesophageal echocardiogram, I can have someone touch my watch instead of reaching into my pants for my iPhone, or searching in my office for it, or missing the call altogether. I’m missing much less important calls these days. And although previously I would take calls while driving, the watch makes this process much simpler and therefore much safer. 2. Receiving and responding to text messages does not require accessing my iPhone. Responding in detail to texts is as simple as touching the microphone icon on the Watch, speaking, then touching SEND. The translator works pretty well. This doesn’t seem like that big of a deal, but again, the ability to rapidly scan incoming texts with just a tilt of the wrist greatly facilitates expeditious screening and processing. 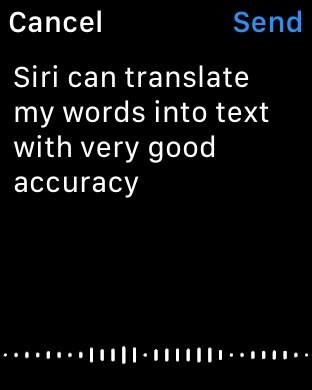 The Apple Watch allows response via either audio recording (translated seamlessly and quickly to text) or pre-set standard responses or emojis. To set a timer for my (heart-healthy) boiled eggs, I say “Hey Siri, set timer for 11 minutes.” Normally in this situation I avoid setting the timer because I’m too busy to grab my phone, open it, and find the timer app (I know I could use Siri on my phone, but that requires more effort). If I suddenly remember I need to call someone while driving, the “Hey Siri” function allows making the call without taking my hands off the steering wheel. 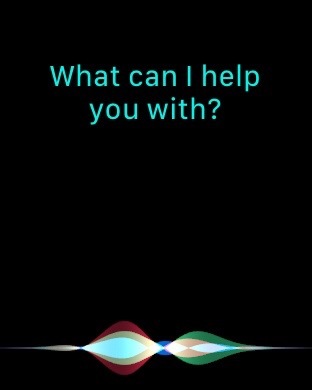 If a brilliant idea for a blog post occurs to me while driving or walking through the hospital corridors, “Hey Siri” can take a note with ease. 4. Checking the time is a lot easier (I know, all watches do this, but I’ve haven’t worn a watch for about 20 years). The lower left icon triggers the pinging of iPhone. 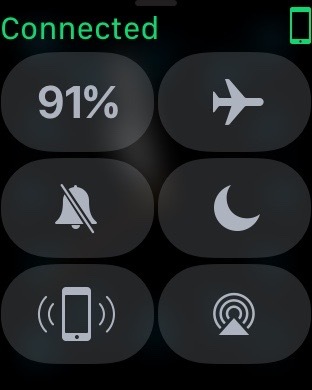 Watch and iPhone must be “Connected” via either bluetooth and proximity or via being on the same WIFI network. 5. If I misplace my iPhone (this happens roughly once per hour when I am at home), I can “ping” it by pushing a button on my Apple Watch: follow the ping and “voila!” I have found my iPhone. Most of the time it is lying under a piece of paper or article of clothing within a few feet of where I’m working, but sometimes it is in an obscure corner for obscure reasons. 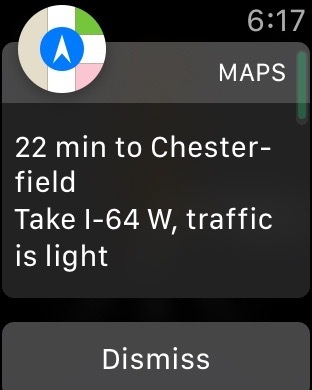 I haven’t figured out how the Apple Watch knows this but when I’m getting ready to drive to work in the morning it automatically shows me something like this, advising me on the best route to take. Likewise, when I’m getting ready to leave work, it alerts me to best route home. It’s somewhat creepy. Is it keeping a log of my driving patterns? I left my office Friday evening and after stepping outside I realized I did not have my iPhone in its usual location, the left front pocket of my pants. I searched the pockets in my pants and in the jacket I was wearing to no avail. I began heading back to my office believing that I had left it on my desk but then realized that I might have put it in my satchel. Not in my satchel. A bright idea then occurred to me: ping the iPhone to see if it was in the satchel, but hidden. Sure enough I heard the iPhone ping. But it was not in the satchel; it was (for obscure reasons) in my shirt pocket (a place that apparently makes it undetectable to me). 6. Information on local weather is immediately available. I have configured my watch “dial” to show me the local temperature. Right now with a flick of my wrist I can see that it’s 17 degrees outside and I’m going to have to dress warmly. 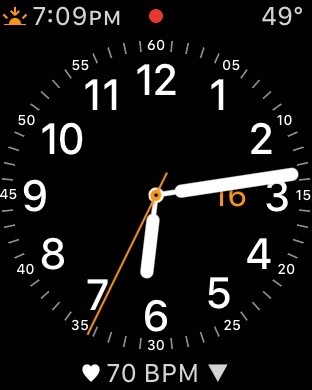 I’ve also configured my watch dial to tell me when sunrise/sunset is and what my heart rate is. 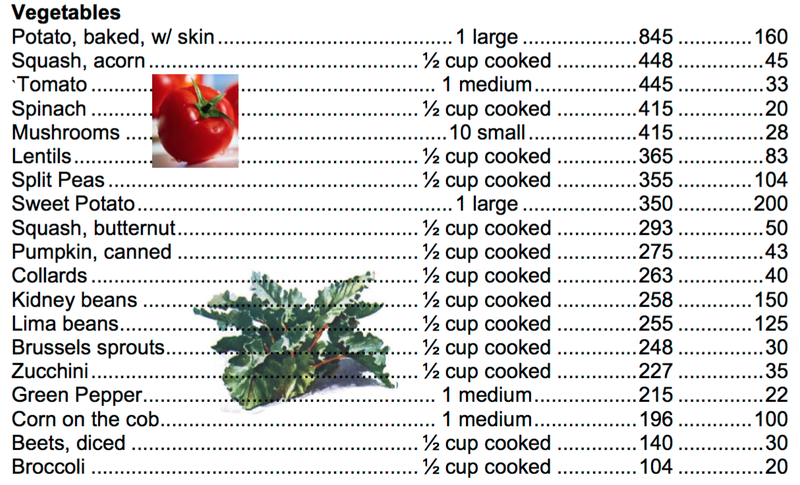 These last two things, although immensely interesting, are not that helpful. Oh, excuse me, my watch timer is telling me my eggs are done. P.S. I’m still in the process of evaluating the work-out/sleep/move/mindfulness features of Apple Watch and hope to write about it in the near future. Feel free to share the things you love or hate about your Apple Watch below.